Estonians take great pride in their farmhouses – no matter whether it is an old barn dwelling, a fancy manse from the rich Mulgi area or a seto stronghold farm. 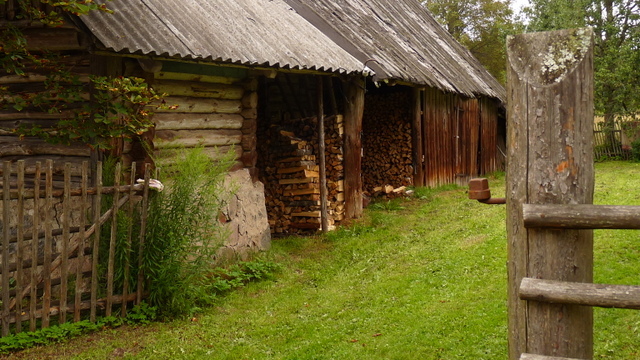 All those make significant part of Estonia’s built rural heritage. If one is lucky enough to own an old farmhouse, one needs skills and knowledge to maintain or restore such a treasure. It is good to know that these skills are not lost and experts from Vanaajamaja can help you with the know-how of the traditional building of Estonia. Before you take any irreversible steps with your old farmhouse, we strongly recommend you to think, measure, and search for the background in order to preserve the authenticity of your old house. If you feel that you need help, ask some advice from the experts of old houses. Find the closest expert from the maamaja.eu website. In south-eastern Estonia the experts from Vanaajamaja can come around, take a look at your farm, explain the main problems and make recommendations for materials and work orders.